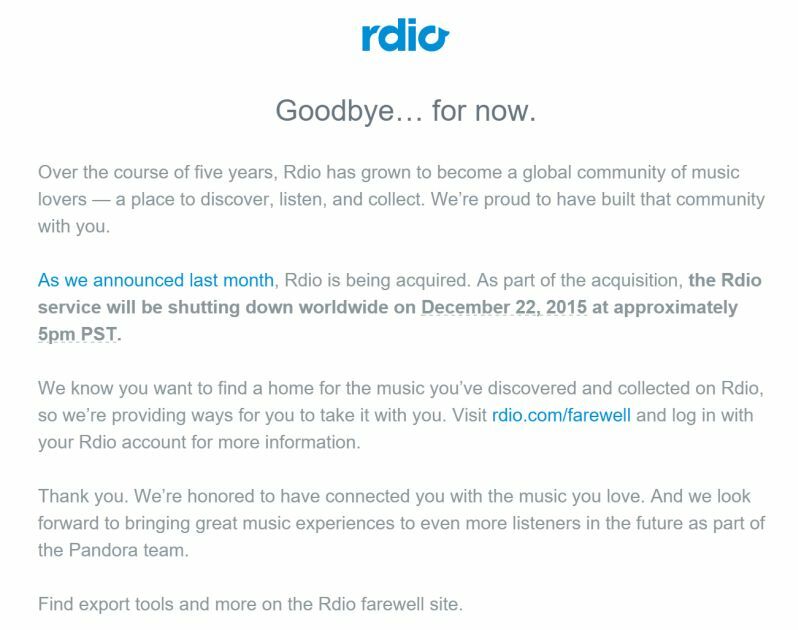 It's been a couple of weeks since Rdio announced its bankruptcy and plans to become a part of Pandora, and now we know exactly when it will shut down. The music service emailed subscribers tonight informing them it will shut down worldwide on December 22nd, at approximately 5PM PT (8PM ET). Until then subscribers can continue listening to the free ad-supported version of Rdio and using the "Farewell" feature to look back at their activity and export data like playlists, favorites and comments -- but a week from tonight it will be all over. Update (12/22): Right on schedule, Rdio.com turned out the lights and is now only displaying an error message.